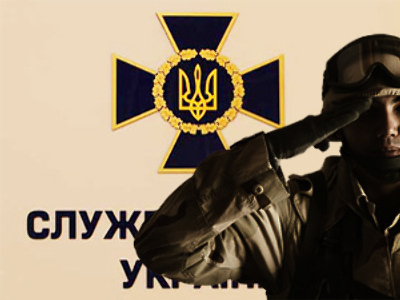 The Security Service of Ukraine (SBU) has prevented an attempt by foreign citizens to form a branch of Hizb ut-Tahrir, an international terrorist group, on Ukrainian soil. 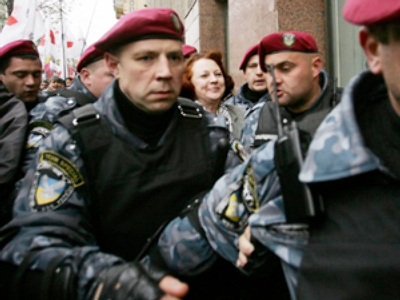 According to the spokeswoman for the SBU, Marina Ostapenko, documents were obtained proving that “a criminal group secretively tried to create a very hierarchical terrorist structure with clear division of functions”. She said among the group members there were nine people who had been specially trained for sabotage in various Middle East camps. For their future illegal activities, they managed to “engage Ukrainian citizens who adopted Islam”, Ostapenko said. Alleged propagandist leaflets were confiscated and legal action will be taken against the suspects if the material is found to break Ukrainian law. It’s alleged the main aims of the group were to recruit new members for the radical Islamic organization, spread propaganda for Hizb ut-Tahrir, and train potential terrorists. An official notice has been sent to the group leader and its other members have been denied entry to Ukraine. In addition, the SBU has submitted information to the UN Security Council regarding the suspects in order to have them listed as people involved in terrorist activities. The SBU spokeswoman also said that seven websites that give instructions on how to make explosive devices have been closed in Ukraine since March this year. Hizb ut-Tahrir is an Islamic political party that was founded in 1953 by a political thinker and judge in the Court of Appeals in Jerusalem, Taqiuddin an-Nabhani. It’s currently headed by Ata’ abu Rishta. According to the organization’s official website, “Its objective is to resume the Islamic way of life by establishing an Islamic State that executes the systems of Islam and carries its call to the world”. Since its establishment, the organization has spread to more than 40 countries and has up to a million members. The radical movement is banned in 29 countries.